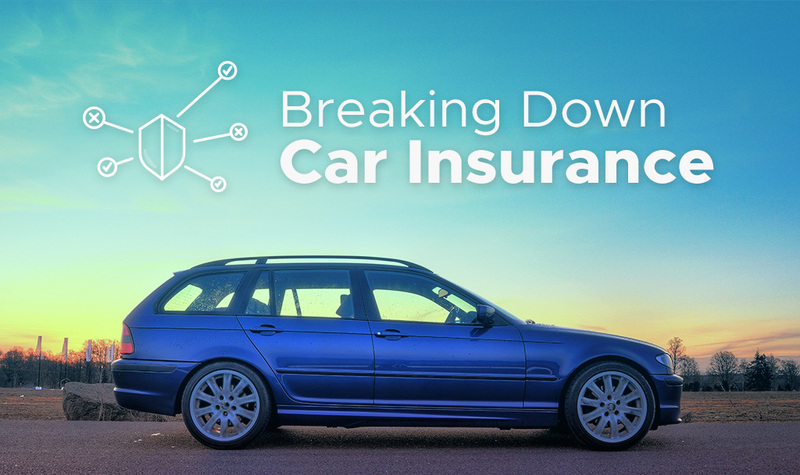 Breaking Down Car Insurance - Jeff Munns Agency, Inc. It happens. A wrong turn, an icy road, a blind spot. They’re called accidents for a reason. In fact, that’s one of the many reasons to purchase car insurance coverage (you may be surprised to learn it’s not the only reason). Accidents have the potential to cause a lot of damage, and a lot of damage typically means that there is pay out necessary for repairs and medical bills – among many other potential costs. So, you can see why it’s crucial to both understand where your car insurance coverage stands and take action to ensure that you’re protected for the road ahead. The right car insurance policy can help you get back on track if your car is damaged or destroyed by accident, fire, theft, or other covered event. What Is Typically Required To Be Covered? Car insurance requirements can vary by state. In most cases, you are required to carry coverage for your liability towards others, medical and related expenses caused by injuries from a car accident, and more. Regardless of whether a state requires much or any coverage at all – you will be required to pay in the event of an accident. Therefore, in most cases it is usually both the safest and the easiest choice to refer with a local independent insurance agency to purchase a car insurance policy! If your policy only includes liability coverage, your car would not be covered in the event of a loss. For that reason, some choose to purchase comprehensive and collision coverages for their vehicles. These coverages help to protect your vehicle in the event of a covered loss. Coverage limits can vary, so refer with your insurance agent to explore your options. Liability coverage, collision coverage, and comprehensive coverage may not be the only options you can consider when purchasing a car insurance policy. Additional options may include roadside assistance, rental car coverage, and more. As always, please refer with your trusted insurance agency for policy and coverage availability. Did you know that by combining your car insurance with homeowners insurance or renters insurance, you can save on both policies? It’s true! Contact our team of insurance professionals to get started today! In addition to policy savings, you can rest easy knowing that the same agency you trust to service your auto protection also services your home protection (and vice-versa)! Don’t have an independent agent? Talk with us! We’d love to have the opportunity to review insurance options with multiple trusted insurance carriers and explore the possibility of serving your insurance needs! Note: The examples and descriptions used throughout this article are for general information purposes only, not legal advice. Coverage of losses are not guaranteed, rather they are subject to the decision of insurance underwriters, police departments, and other authorities. Coverage availability and limits can vary based on person, location, and other variables. Please consult with your insurance agent and review your insurance policies to understand your existing coverage and/or potential coverage options. Read our disclaimer.